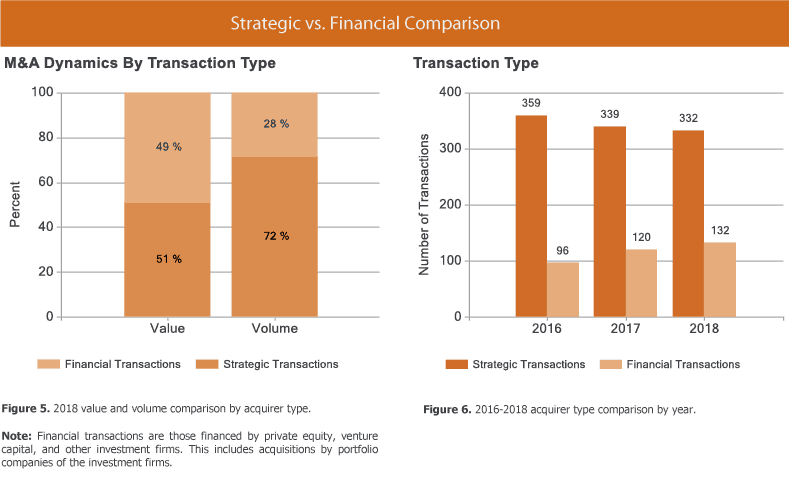 Full Year 2018 Healthcare M&A Trends Report - Berkery, Noyes & Co., LLC. The largest private equity backed deal in 2018 was Veritas Capital and Evergreen Coast Capital’s announced acquisition of athenahealth, a provider of network-enabled services for hospital and ambulatory customers, for $5.6 billion. 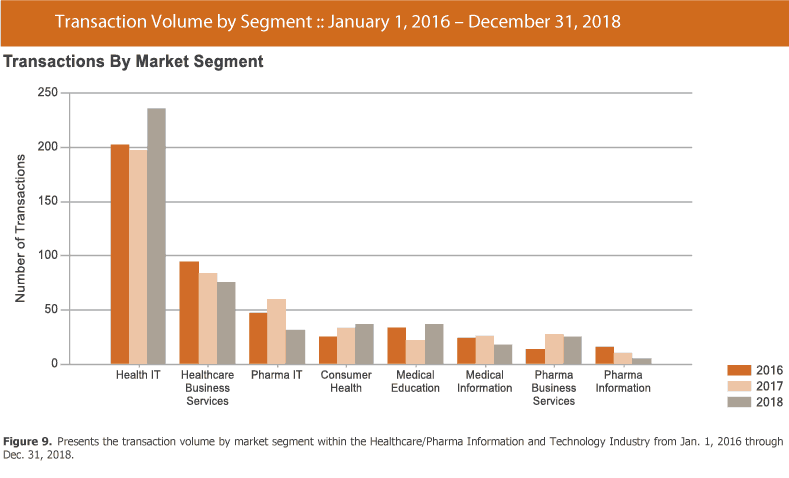 The Healthcare IT segment accounted for about one-half of the industry’s aggregate volume in 2018. Strategic acquirers accounted for 75 percent of Healthcare IT volume. There were 132 financially sponsored transactions with an aggregate value of $17.18 billion, representing 28 percent of the total volume and 49 percent of the total value, respectively. Total transaction volume in 2018 remained nearly constant over 2017, from 459 to 464. Deal activity also stayed about the same from 2016 to 2017. Total transaction value in 2018 increased by 18 percent over 2017, from $29.68 billion to $35.07 billion. The median revenue multiple improved from 2.2x in 2017 to 2.4x in 2018. 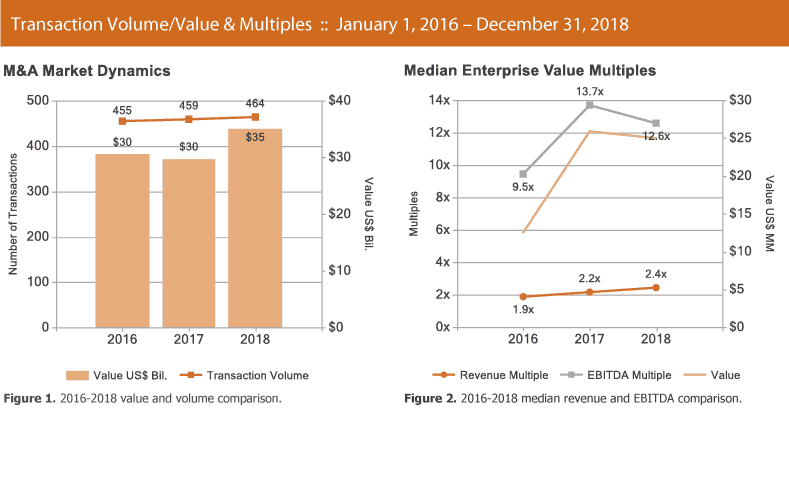 The median EBITDA multiple declined from 13.7x to 12.6x. The segment with the largest rise in volume in 2018 over 2017 was Medical Education with an 68 percent gain, from 22 to 37 transactions. As for other notable increases, the Healthcare IT segment experienced a 19 percent gain, from 199 to 237 transactions. 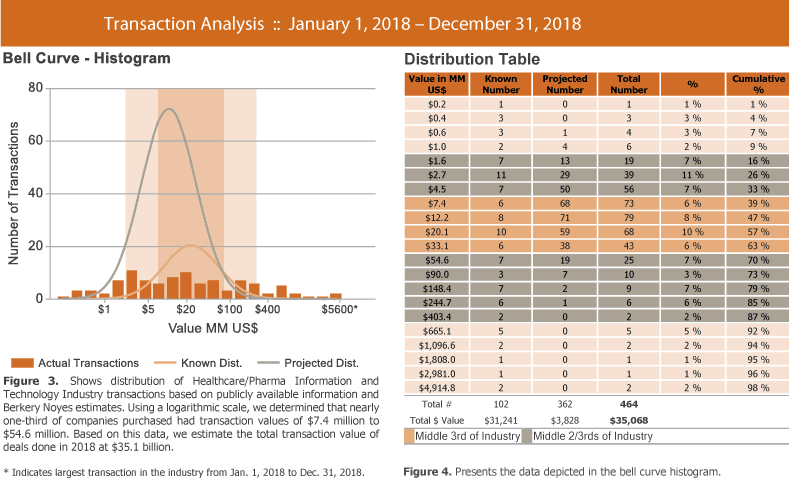 Berkery Noyes tracked 1,378 Healthcare/Pharma Information and Technology transactions between 2016 and 2018, of which 297 disclosed financial terms, and calculated the aggregate value to be $85.31 billion. Based on known transaction values, we project values of 1,081 undisclosed transactions to be $9.56 billion, totaling $94.87 billion worth of transactions tracked over the past three years. 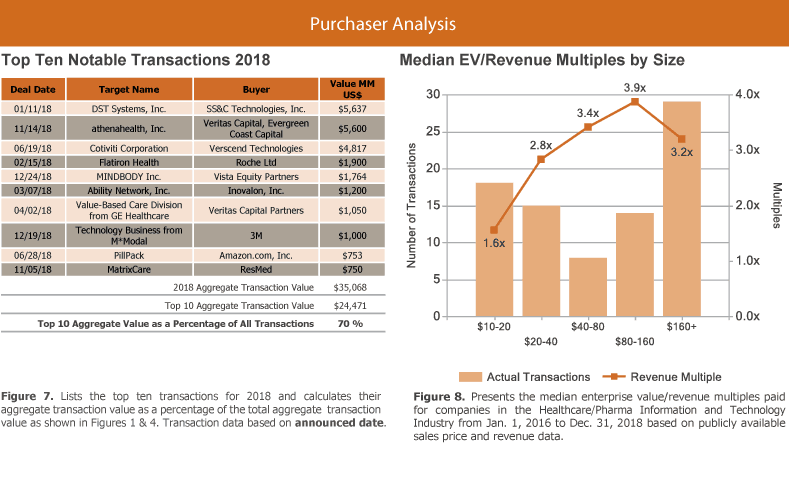 Disclosed median enterprise value multiples for all segments combined in this report during the last 36 months were 2.1x revenue and 11.9x EBITDA.